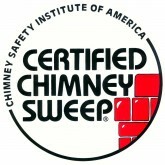 A chimney system is a complex system that requires regular maintenance. Nexus Chimney Services is an experienced company that knows how to best clean a chimney and protect a chimney from future damages. We can clean out debris, pests, creosote, and any other material that has built up in your chimney that is not wanted there. In Knightdale, it is guaranteed that you will need your chimney, and that your chimney will gather unwanted material. A regular repair is essential to keeping your chimney running cleanly and safely. Let our experienced chimney professionals work on your chimney and repair and part that needs fixed. Contact us today for more information.